By applying the Auto Screen Adjustment function to Geometry Manager Pro software, you can greatly save installation time and costs. You can also set up multiple projectors automatically and simultaneously. 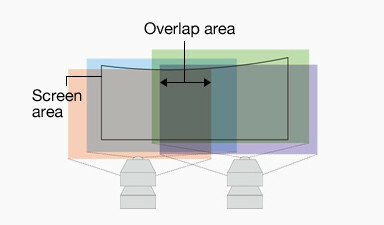 Several professional techniques were required for multi-unit projection, it is time consuming to achieve a high-quality visual performance. 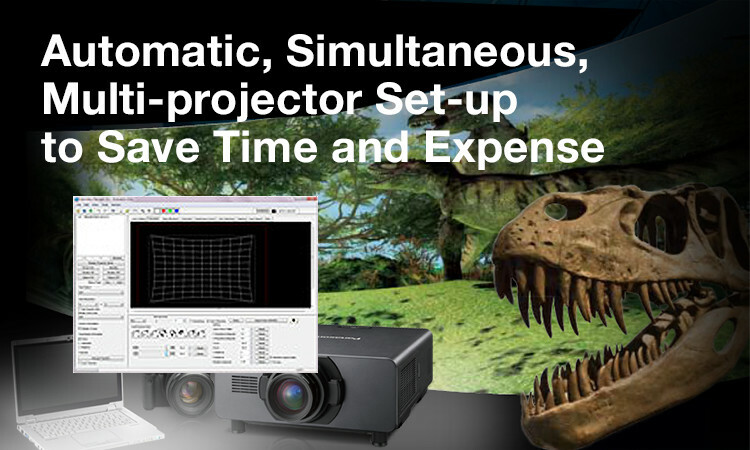 ET-CUK10 Manages Your Projector Set-Up Simply, Quickly, Perfectly. Beautiful projection takes 3 quick, easy steps. Auto Screen Adjustment almost completes the installation of multiple projectors by itself. Adjust the lens zoom / shift / focus to cover the whole screen area. 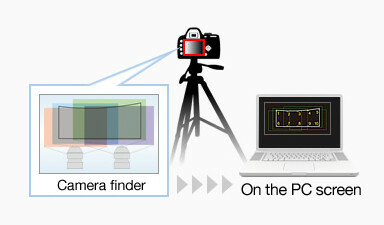 Set the camera* to cover the screen area and select multiple points on the edge of the screen by PC. Automatically calibrate correction value and reflect the suitable adjustment to each projectors via Geometry Manager Pro software. After performing Auto Screen Adjustment, you can perform further detailed adjustment and correction manually. 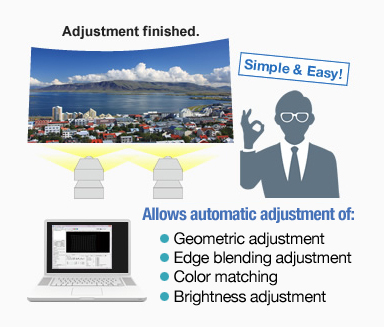 ・Simple and easy adjustment for multi-screen projection or curved-screen projection. *2 The Auto Screen Adjustment Upgrade Kit (ET-CUK10) works as an upgraded function of the Geometry Manager Pro software. To use ET-CUK10, updates of projector firmware and Geometry Manager Pro software are required. ･ Available for various screen shapes, such as flat, convex, concave, portrait and S-shape. 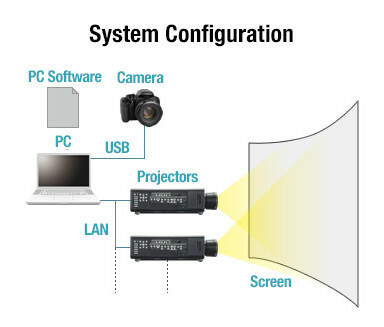 ・By connecting a PC to the projectors through a Hub network, and a camera* via a USB cable, the Auto Screen Adjustment plug-in software can measure the required adjustment using the connected camera,* and then overwrite the connected projectors with correction values, which makes system installation easier and more efficient. ･ Calibration and adjustment based on the projector’s internal image processor achieves minimal image degradation. ･ The color, brightness, black level, uniformity and alignment of several projectors can be measured.